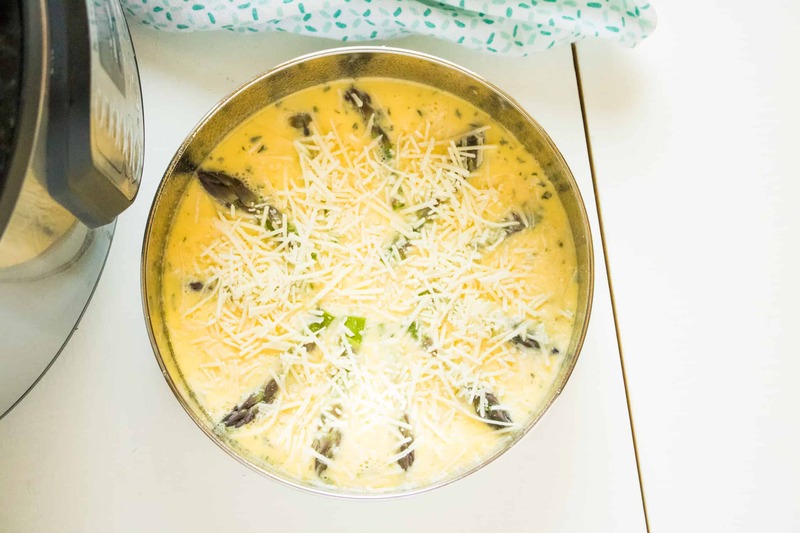 Instant Pot Asparagus Parmesan Frittata is as pretty as it is delicious. Healthy, low-carb and grain-free, this delectable entrée is a great choice for breakfast, lunch or dinner. 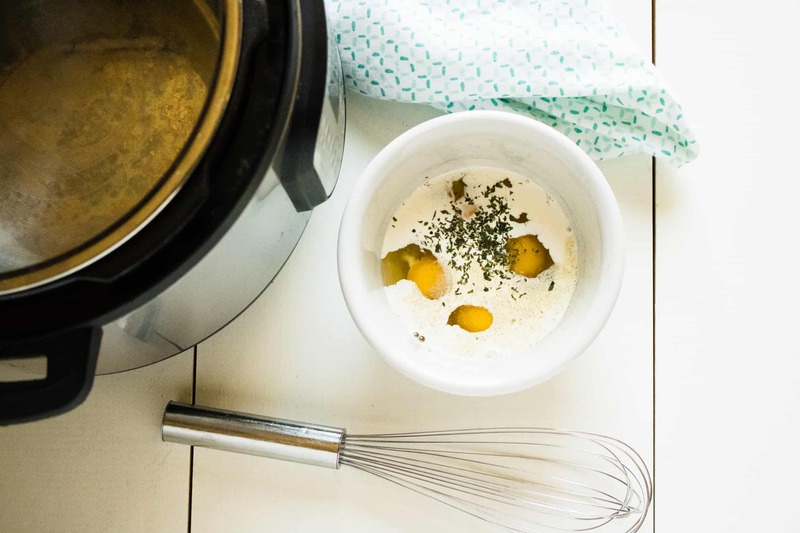 And thanks to the Instant Pot, it is also incredibly easy to make! 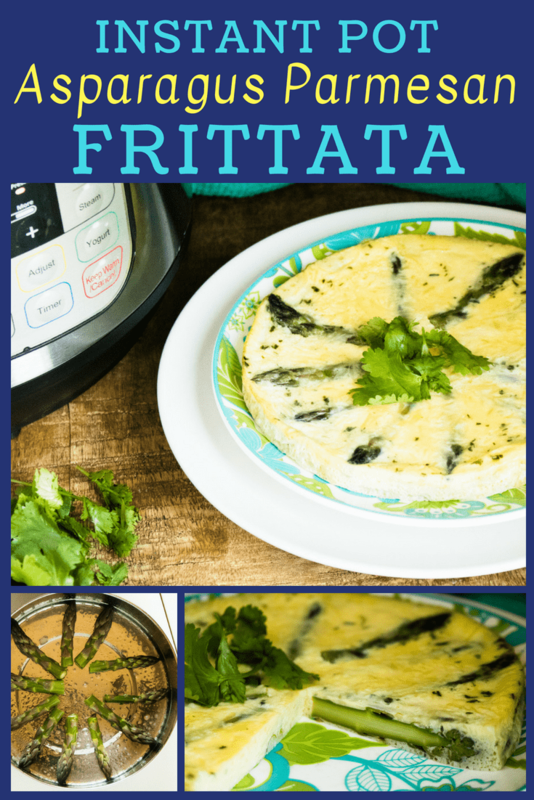 The word frittata derives from the Italian word friggere, which roughly translates to fried. However, pressure cooking a frittata in the steamy environment of the Instant Pot instead of frying in a pan results in eggs that are incredibly light and fluffy. 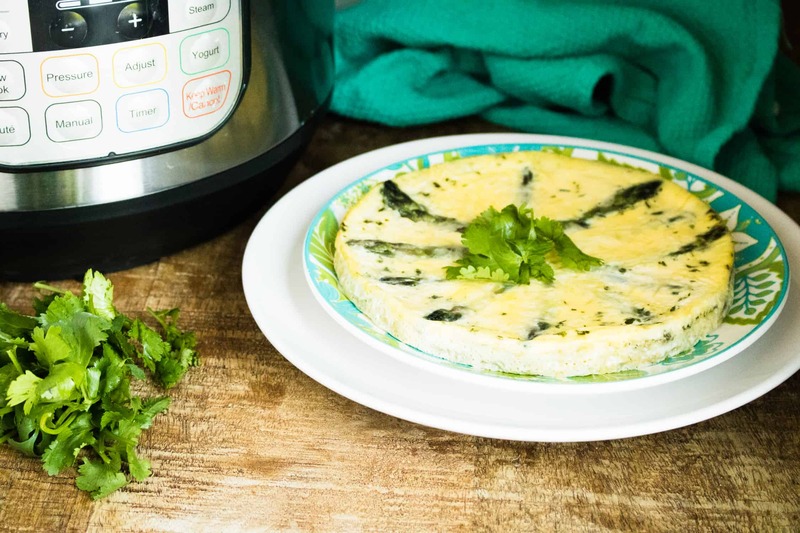 The typical hands-on stovetop cooking method requires constant monitoring to ensure that the frittata doesn’t become overcooked and dried-out. 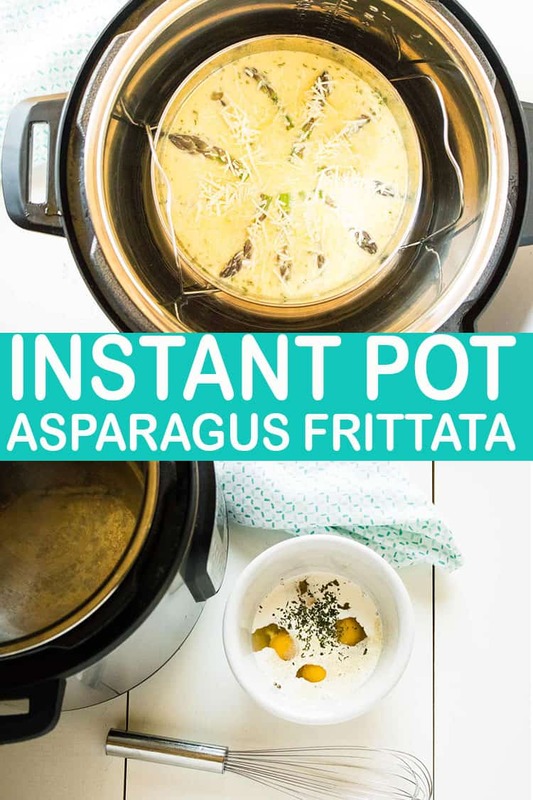 But with the Instant Pot, you can simply combine the ingredients, set it, and walk away! 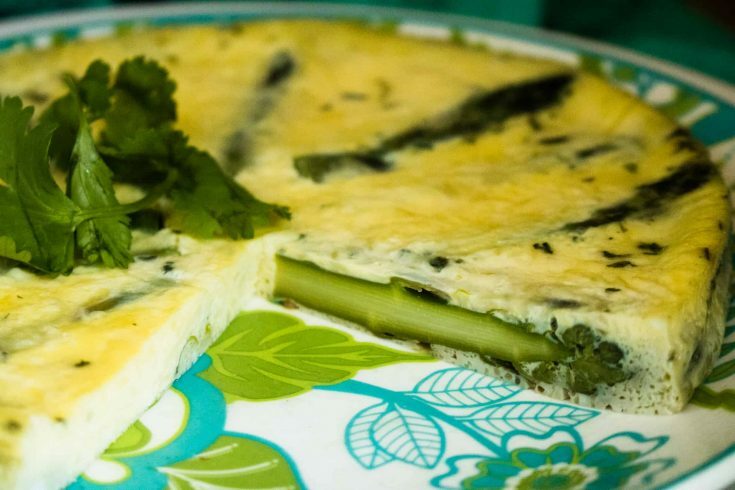 The egg mixture for a frittata is beaten vigorously to incorporate more air. This makes a frittata taller and fluffier than an omelet. 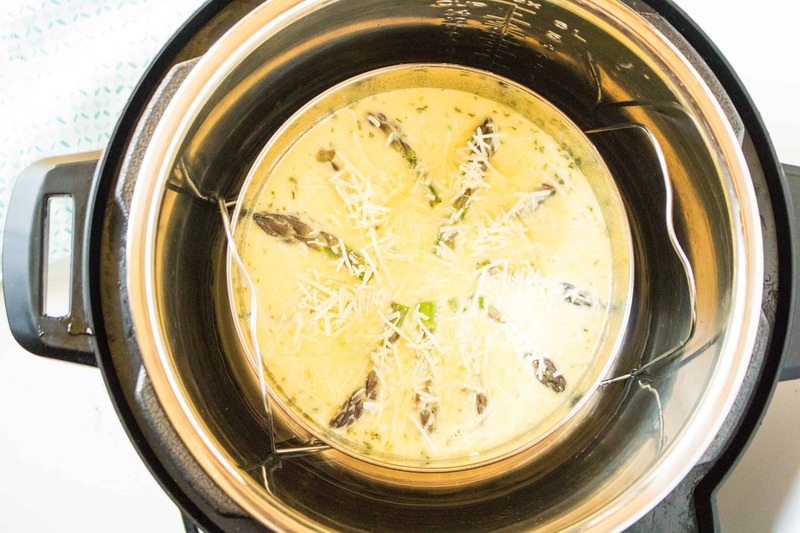 Place a metal trivet in the bottom of the Instant Pot and pour in 1 cup of water. Spray an 8-inch round baking pan with cooking spray and set aside. Next, whisk together eggs, milk, salt, and pepper. Then fold in the parmesan cheese and diced asparagus. 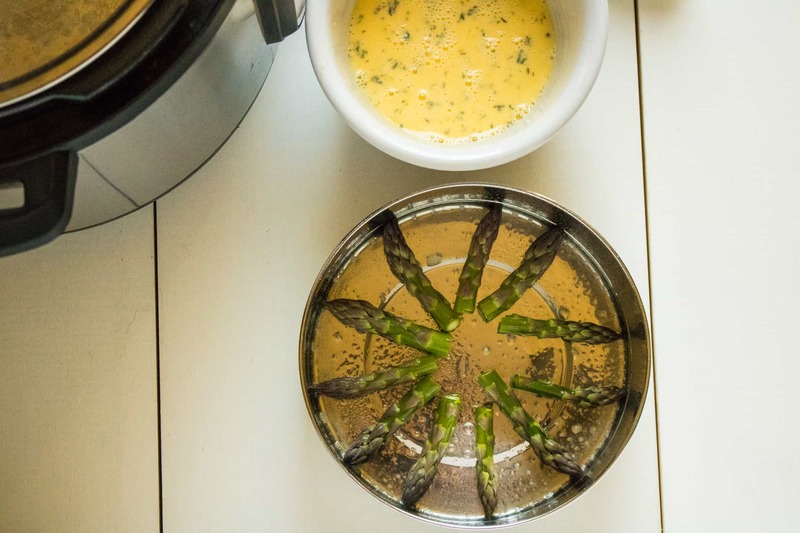 Arrange the asparagus tips in a circle at the bottom of pan, then pour egg mixture into the pan. Next, use an aluminum foil “sling” to lower the pan on top of the trivet (to make a sling: take a long piece of foil and fold over onto itself until it is about two inches wide). Close the lid and turn valve to the sealed position, then set to a manual high pressure for 25 minutes. After the cooking time is over, allow for a 10-minute natural release. Then perform a quick release. Using the sling, remove the pan and turn out the cooked frittata onto a serving plate. Finally, garnish and serve. Enjoy! 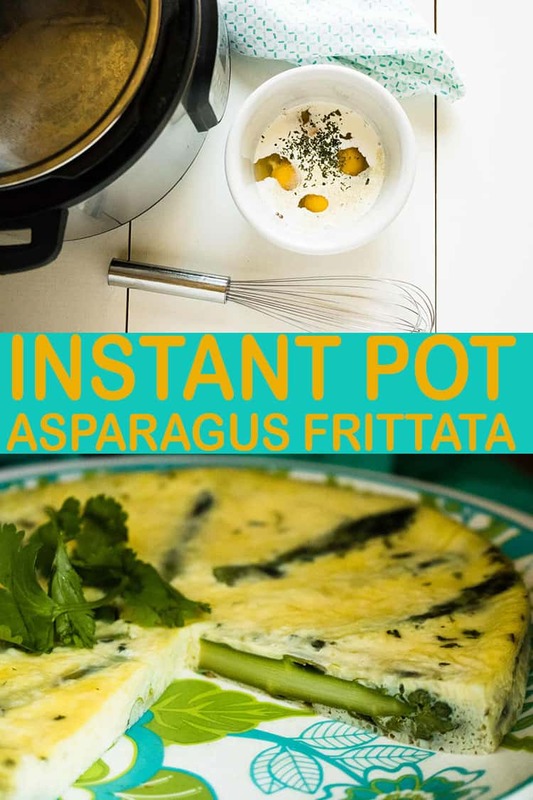 Instant Pot Asparagus Parmesan Frittata is beautiful, delicious, and so easy to make! Place a metal trivet in the bottom of the pressure cooker pot. Pour in 1 cup water. Spray an 8″ round baking pan with cooking spray, set aside. Arrange the asparagus tips in a circle at the bottom of pan. Whisk together eggs, milk, salt, and pepper, then fold in the parmesan cheese and chopped asparagus. Pour mixture into pan. Use an aluminum foil “sling” to lower the pan on top of the trivet (to make the sling: take a long piece of foil and fold over onto itself until it is about two inches wide). Close lid and turn valve to the sealed position. Set to a manual high pressure for 25 minutes. Using the sling, remove pan and turn out onto a serving plate. Garnish and serve.